One of the best reasons to own a 3DS. Period. Nintendo's 3DS has an impressive lineup of games for different tastes, but there's no killer app, the sort of triple A product that sells hardware by the millions. That'll hopefully change June 19 with the arrival of The Legend of Zelda: Ocarina of Time 3D, a wonderful looking port of the beloved Nintendo 64 classic. Although it's more than a decade old, Ocarina will have a huge impact on 3DS for a variety of reasons, so if you're on the fence about buying one of the greatest games of all time, perhaps this will convince you to fork over the cash. 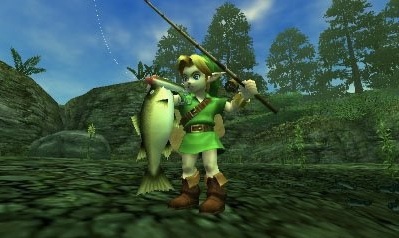 After seeing the 3DS Ocarina's graphics, there's no way we'd go back. 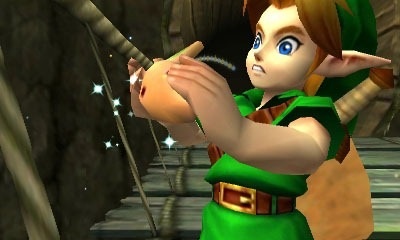 If you think 3DS lacks horsepower, definitely play Ocarina. Nintendo took its 1998 classic and gave it a much-needed facelift, courtesy of the system's processing muscle. The result is a game that's never looked better, with superior character and environmental detail. Gone are the fuzzy looking visuals, replaced with razor sharp graphics overflowing with detail, from Link's face to Hyrule's sprawling countryside; this also means you won't see that trademark N64 fog. You don't need 3D to enjoy Ocarina, but it definitely enhances the game. Of course, this being the 3DS, you can expect glasses free 3D to play a huge role, giving this beloved adventure a unique perspective never experienced before. Now Link, enemies and locations pop off the screen. We couldn't find an image of the slingshot, so please enjoy this. There's more to 3DS than just updated graphics and 3D wizardry. 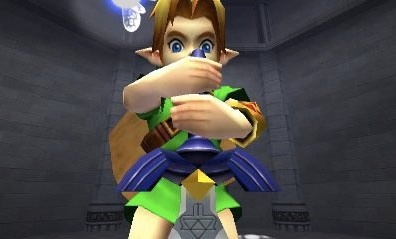 Nintendo also made use of the handheld's gyroscope, allowing you to enter a first person mode and physically maneuver the system to aim Link's slingshot. You mean the Water Temple won't drive us nuts? We're in. Switching items using the touch screen makes Ocarina of Time 3D infinitely more enjoyable, as you're able to bypass the item inventory screen that pauses the action. 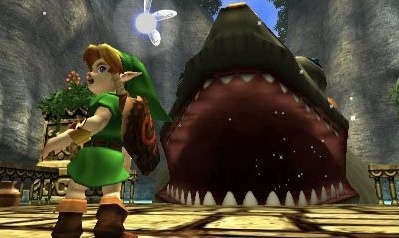 Nintendo also promised to make the infamous Water Temple a bit easier, something that should please infuriated fans. Still one of the best games every made. At the end of the day, this is still the same Ocarina that achieved numerous perfect scores and game of the year awards, thanks to expertly designed dungeons, clever boss fights, stellar combat and a beautiful soundtrack. You'll love every Master Sword swinging minute.